Patrick McLoughlin ’16 was one of 17 students nationwide awarded scholarships from the American Floral Endowment. The senior Plant Sciences major received the Long Island Flower Growers Association (LIFGA) Scholarship. McLoughlin is interested in the application of tissue culture for ornamental production, specifically in Impatiens. He plans to start his own business in the future. 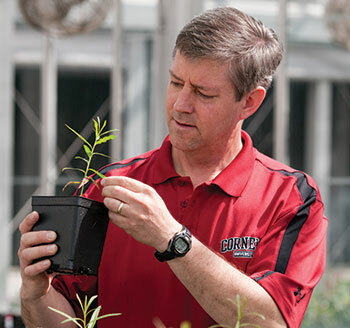 “I would also like to use local farmers to start a hops breeding program to find novel forms of disease resistance to mildew,” McLoughlin said. The LIFGA Scholarship was established in 2010. LIFGA members represent growers and retailers promoting research, education and sales of ornamentals in the local market. The scholarship is intended for students in the Long Island/New York area studying ornamental horticulture at a community college or a four-year institution. 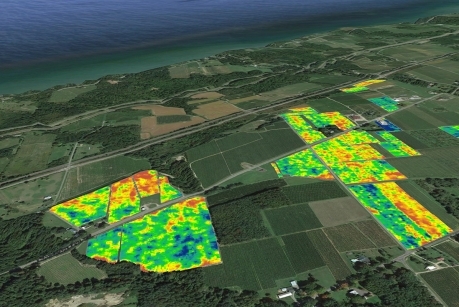 Summer scholar maps path to rot-resistant grapes features Anne Repka ’17, who worked with Bruce Reisch‘s lab at the New York State Agricultural Experiment Station in Geneva last summer. Nana Britwum ’18, who is double majoring in plant sciences and agricultural sciences is one of the undergrads featured in Double vision: Double majors. Also featured is Avery Hill ’17 who is double majoring in biology and plant sciences. Leap of faith proves pollination can be honeybee free profiles entomology professor Bryan Danforth’s work with native pollinators working with Cornell Orchards farm manager Eric Shatt and 20 other orchards. …California has long been the top producer of the nutritiously dense and once maligned vegetable. That state produces more than 95 percent of all broccoli grown in the United States. But agricultural experts and farmers are working to develop a year-round broccoli industry on the Eastern United States, from Florida to Maine. And Eden farmers are poster children for what agriculture experts want do in New York State and the East Coast. CU-Structural Soil® – A Comprehensive Guide is a new 56-page publication that covers the why’s and how’s of using CU-Structural Soil® to support trees, turf and porous pavement, and includes six case studies. 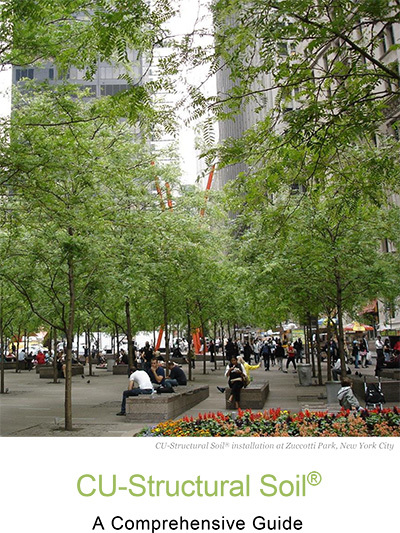 CU-Structural Soil® (also known as CU-Soil®) was developed at by Nina Bassuk, director of Cornell’s Urban Horticulture Institute, as a way to safely bear pavement loads after compaction and yet still allow root penetration and vigorous tree growth. It was patented and trademarked to insure quality control. 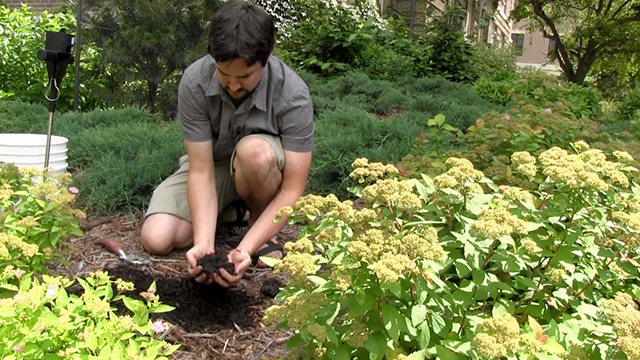 Read more about CU-Soil® at the Urban Horticulture Institute website. 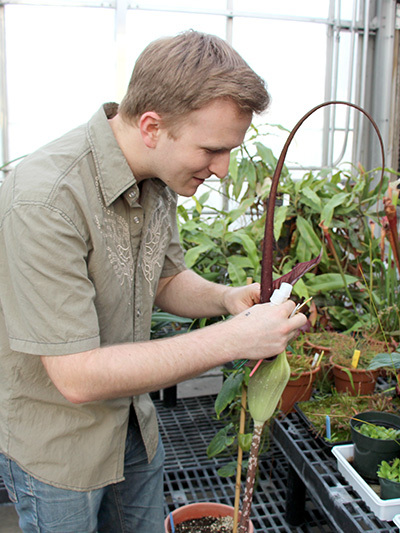 Plant breeding graduate student James Keach, one of three 2015 Dreer Award winners, is studying impatiens Thailand. See the application and instructions that spells out the procedure for applying. Basically it is quite simple. Submit a written proposal to the Dreer Committee by the deadline (March 1, 2016 in this cycle), which is followed by an informal interview, generally in a week or two. The faculty receives the recommendation of the Dreer Committee and votes on the nominee. Please look into this opportunity seriously. It can be taken as a summer and a semester’s leave or a year’s leave of absence during school or upon graduation. If you would like to talk over a potential idea for the Dreer with a member of the Committee (and we encourage you to do so), please contact Nina Bassuk (Horticulture) Josh Cerra (Landscape Architecture) or Marvin Pritts. (Horticulture). 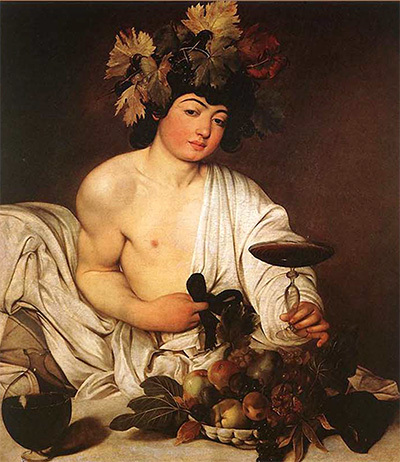 What role does wine play in the creation of culture, from ancient times to the world of today? How has culture influenced wine production and appreciation? Includes wine tastings. No minimum age for enrollment. 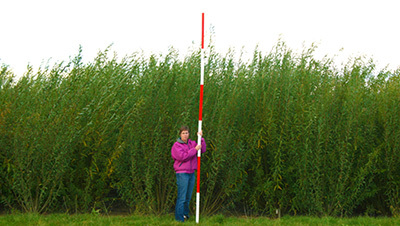 Just in time for National Bioenergy Day, the shrub willow bioenergy research program based at the New York State Agricultural Experiment Station in Geneva has launched a revamped version of its Willowpedia website. The new version of the website is chock full of information for growers, researchers and the general public, including factsheets, videos, links to research publications and more. The new also features ‘responsive design’ making it much easier to navigate on phones or tablets. And if you’d like to stay up on the latest in shrub willow bio-energy research and be notified when major new resources are added to the the website, be sure to sign up for the project’s e-newsletter. For millennia, plants have been used for healing. As older generations of traditional healers pass away, much of their knowledge of medicinal plants and their uses is in danger of disappearing. 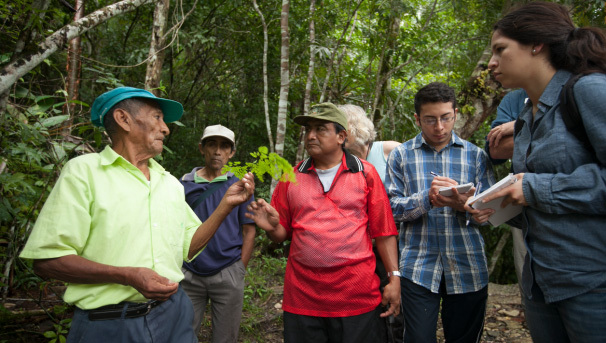 Even as these practices ebb in indigenous communities around the globe, there is a growing interest in reconnecting with the natural world, as well as an appreciation of the breadth and depth of these traditional bodies of knowledge. At Cornell, students will be exploring the relationship between plants, healing, and the community elders who use plants to heal in an exciting spring semester class, PLHRT 4940: Healing Plants and the People Who Use Them. View video, read more, and support the effort on the crowdfunding site. For more than 15 years, CALS has bolstered its sustainability research with a steady stream of gifts from the Toward Sustainability Foundation (TSF), a Massachusetts-based organization founded by an anonymous, eco-minded Cornell alumna. Since 1999, TSF provided more than $1.1 million in funding for more than 100 faculty and student projects that examine the technological, social, political, and economic elements of sustainable agriculture. 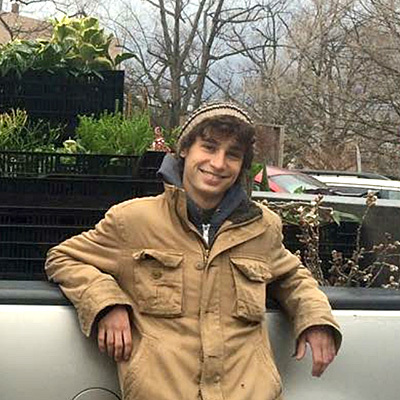 A 2014 TSF grant aided Horticulture graduate student Miles Schwartz-Sax’s study on long-term urban soils remediation using organic amendments.